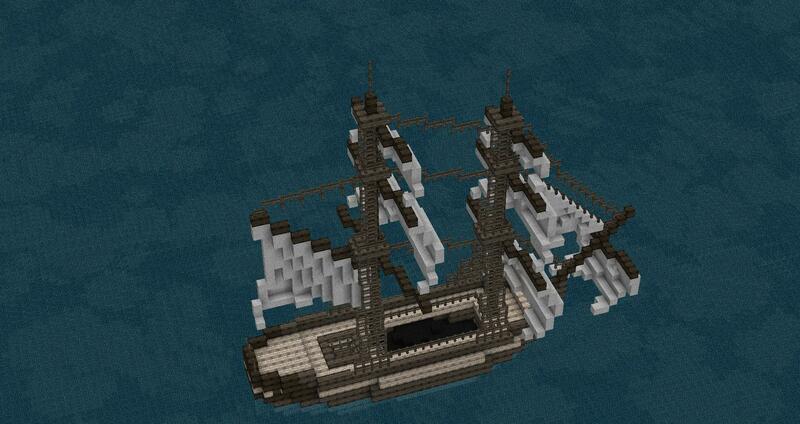 Just a little build this time to get me back into the shipbuilding mood - a small single masted gaff cutter. I think it's worked out quite cute, even though the smaller size obviously makes it more obvious that it's all blocky. I'll add the pics to the first post in a minute. Those are some very impressive ships! 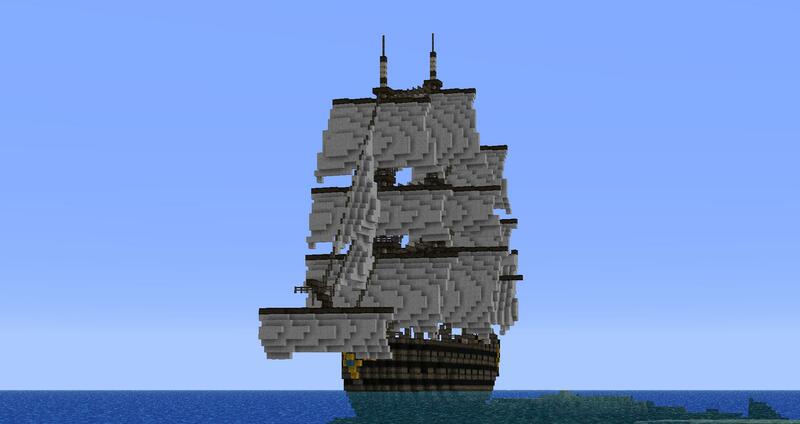 The Endeavour is my First-Rate Ship of the Line. Another new ship. It's another fairly small one, a brig collier. 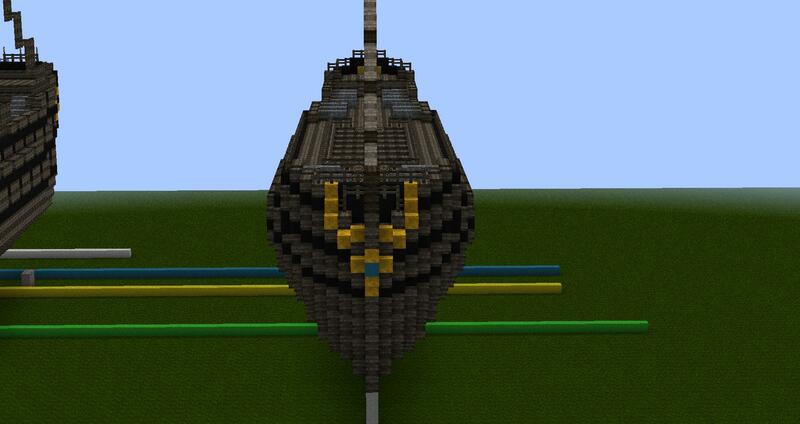 I'll probably do another larger ship next. 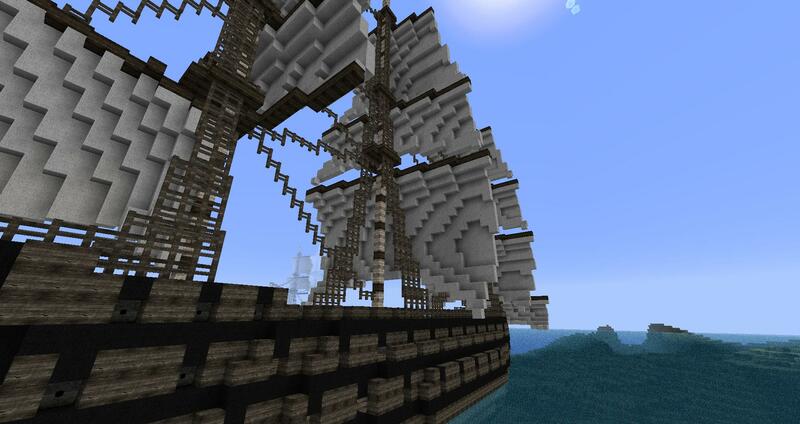 Anyway, the brig part of the name is pretty self explanatory - a brig is simply a ship with a two-masted square rig. 'Collier' is the name of a type of ship that carried coal. They were especially useful when cities started to expand and needed fuel, and the coal would be loaded onto the colliers around the coast of the mining areas before being sailed along the coast towards the cities. 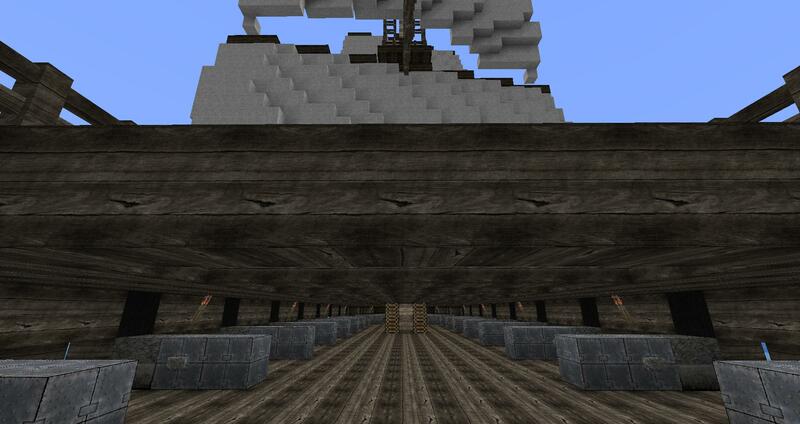 I'll leave a screenshot here that shows the big coal bunker in the middle of the ship. I've used black wool for the big heap of coal. I decided to leave the coal open to the air, but I'm sure the if it was raining or the seas were stormy that it would be covered over. I'll add more screenshots to the first post in a minute. Another new one. 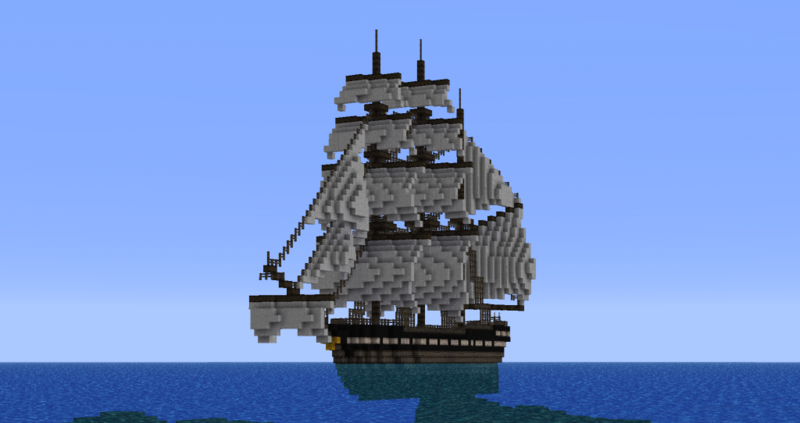 This time it's a sleek trading barque. A barque is the name for a vessel with a square rig on the foremast and mainmast and a fore-and-aft rig on the mizzen. 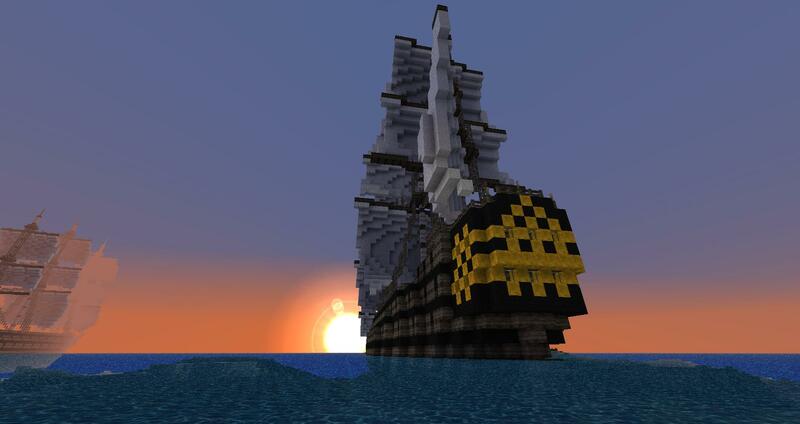 I've modelled it with royal sails set, because this is a speedy ship. Gets the cargo to its destination as soon as possible. I'll update the first post now with the full write-up and screenshots. Had a bit of trouble getting the pics onto imgur. The uploader kept getting stuck at the processing stage, and I have no idea why. I ended up uploading them to my photobucket account and then loading them to imgur from there - and that worked fine. I don't use the photobucket account much any more because I posted so many screenshots from there that they ate up the bandwidth limit and wouldn't show up in the threads - but at least the uploader works! these, like your guide, are excellent. Any chance you'll release schematics or maps so we can take a closer look at them? I know you have a guide, and I like it a lot, but I learn best from deconstruction. Not to mention I can't see the interior. Though I'll understand if that's more work than you want to put in. These may not be the most "extravagant" ships, but they're the most realistic and easily the best ship builds I've seen so far. Your attention to detail and nautical knowledge are impressive. Thanks for the great submissions! I hadn't really thought about schematics or world saves. I'm a bit reluctant because I know there'd be people who'll just download it instead of learning to build something like it themselves. But on the other hand, attaching a download file to my tutorial might be a good way to let people know the intricacies of the ship. I'll think about it. Thanks! 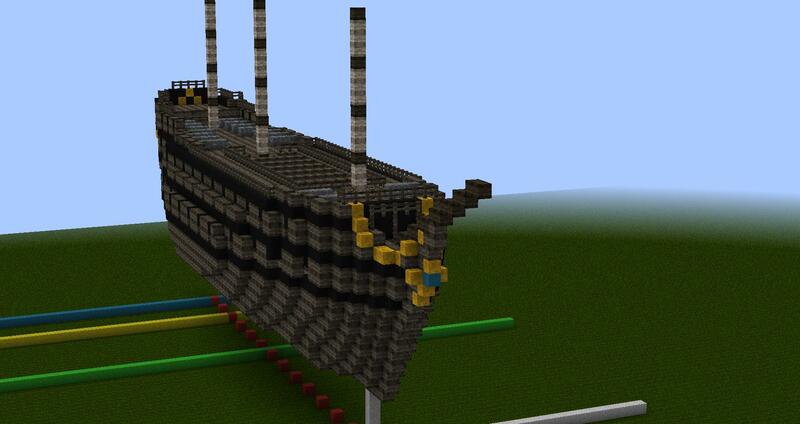 I've started working on another ship tonight, and I'd say it's more realistic than the ones I've done already. It's a 74 gun third rate based off Sir Thomas Slade's Arrogant Class. Pretty similar overall to his slightly smaller Ardent class that I used as the base for my 64. In places I've consciously tried to make the new ship look very similar to the 64, but I think I've improved on the tumblehome and I've definitely improved on the bow. I'm enjoying working on it so much that it'll probably be finished in the next couple of days. That's a good point, but those people aren't going to learn anyway, and there's nothing you can do about it. Those of us who wish to learn, however, would benefit from it, I believe. And all I really ask is that you think about it. I'm going to keep tabs on your threads and try it on my own regardless. No problem! I only understood half of that, but another thing I like about your threads is that there's so much for me to look up. Ye may want to look at my sail Guide, might help you a bit! You ever wanna try a different cabin design, ConfuseACat? The yellow checker pattern is a bit odd, in my humble opinion. 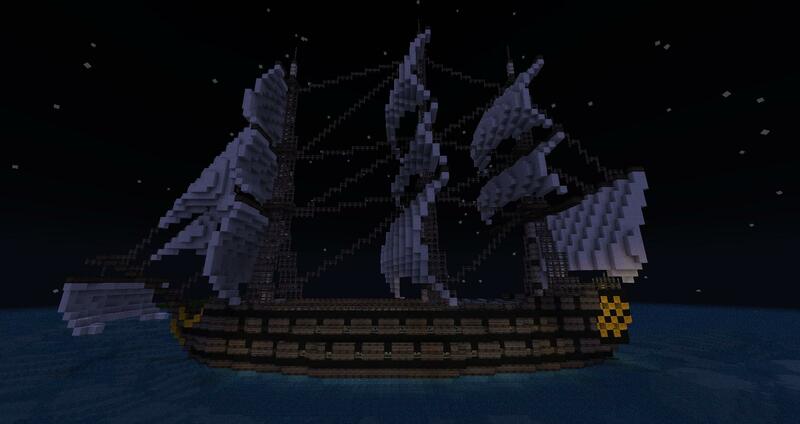 The rest of the ship looks great though! 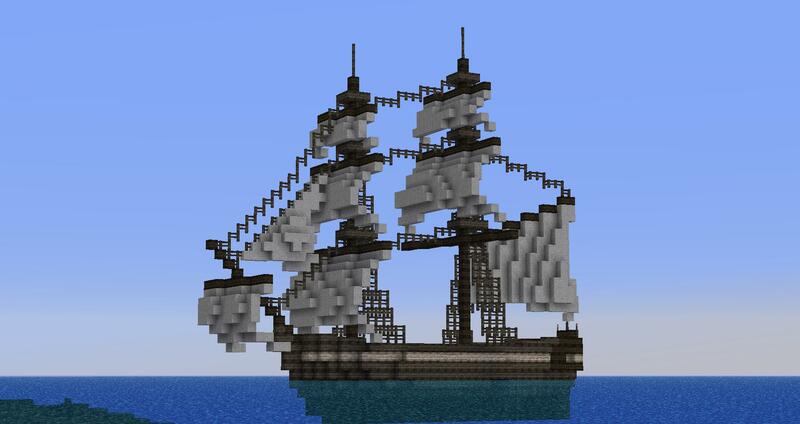 I've tried a few right when I started building ships and I couldn't settle on something I really like. The black and gold chequering is the best I've been able to manage to do the whole black and gold scheme that the stern cabins often had. If I try to do bands or something like that, it looks weirder. I think it's a victim of the scale, unfortunately. I think it started out as a compromise and since then I've kind of got used to it. Maybe one day I'll come up with something better! 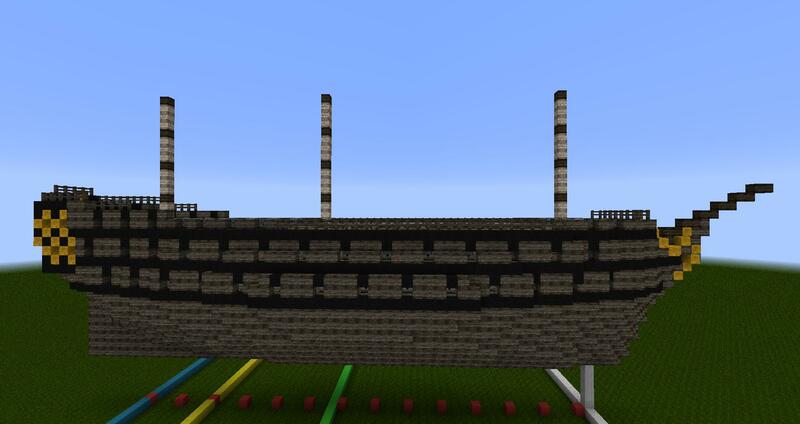 I do seem to have come up with a better way of building the bow with this ship, so it's definitely possible. The new Endeavour is annoying me because if I do the beakhead rails, the bow cannons in the upper gun deck would blow them off. Anyway, my 74 is complete. Since a picture of a very nice model of HMS Vanguard showed me where I was going wrong with my bows, and I based this ship off the Arrogant class anyway (which Vanguard was one of), I think the name for her is rather obvious. I didn't even notice you've done a new ship! Care to take more close up-photos of the ship...? The first post has a lot more pics in it, but none of them are really close in. DId you have any particular shots in mind? 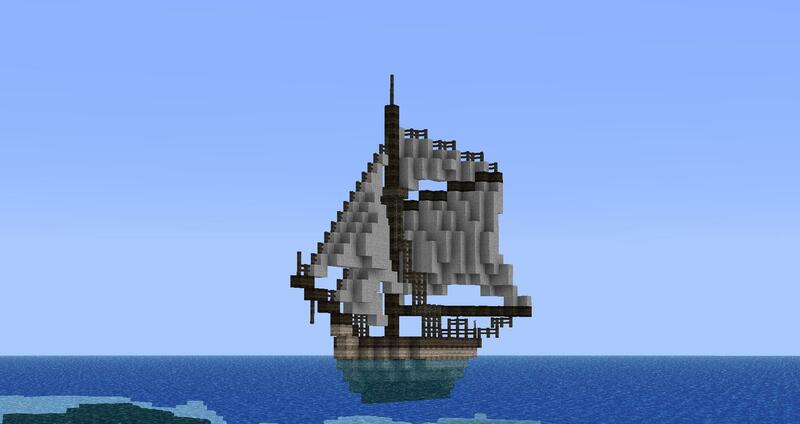 I might do a ship-sloop. Or a 2nd rate. If I picked the latter option, I'd probably loosely base it off good old HMS Barfleur. And at some point I want to have another go at a first rate, but do a better job of it this time. 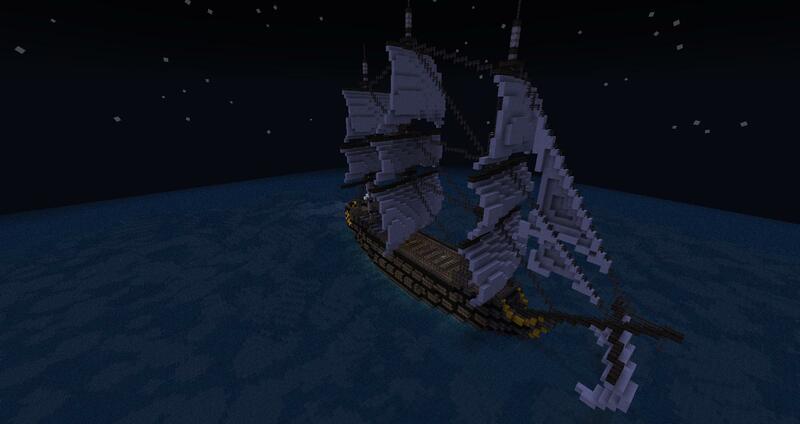 And I might go back to some of my older ships and tweak them. Only on a copy of course - I wouldn't want to lose the originals, the 'record' of my shipbuilding progress. 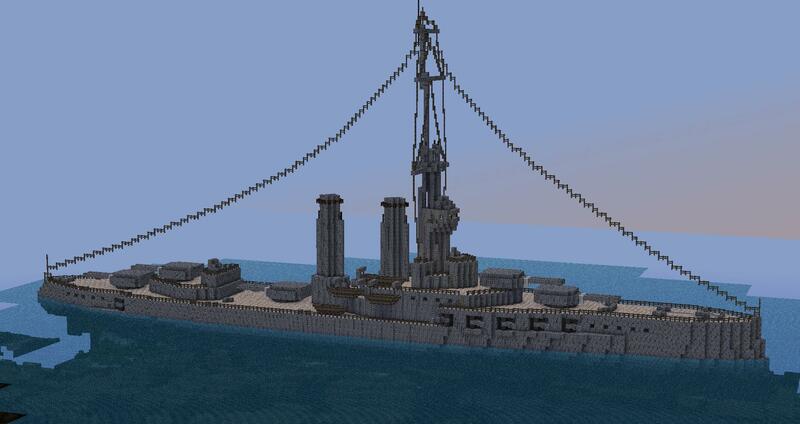 But tweaking some older ships might be quicker than building improved replacements. I want to have a good looking fleet! Alright then. I normally prefer taking my shots from really far away with the ctrl zoom on. Less fisheye-ish, but I'll take a load of closeups. Ask and ye shall receive! Dammit, I hate that fisheye effect! Perhaps I should have used my usual ctrl-zoom method but from a bit closer than normal! And finally, one that I felt like taking that's not close up at all. 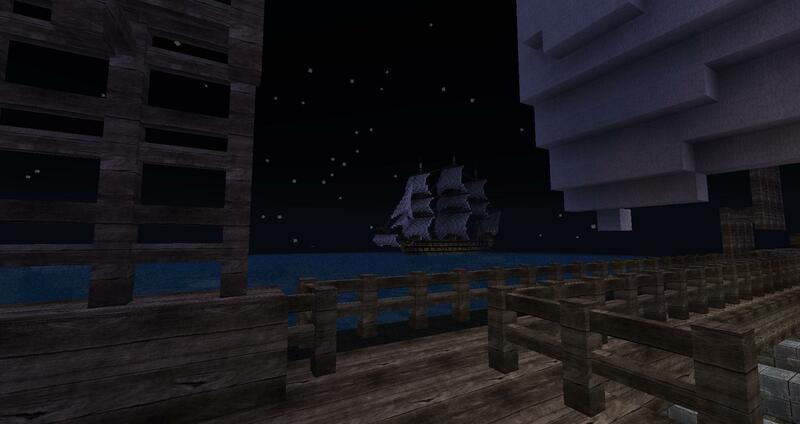 A view of Vanguard at night from the forecastle of Diomedes. I think it captures the beauty of a man o' war quite well. 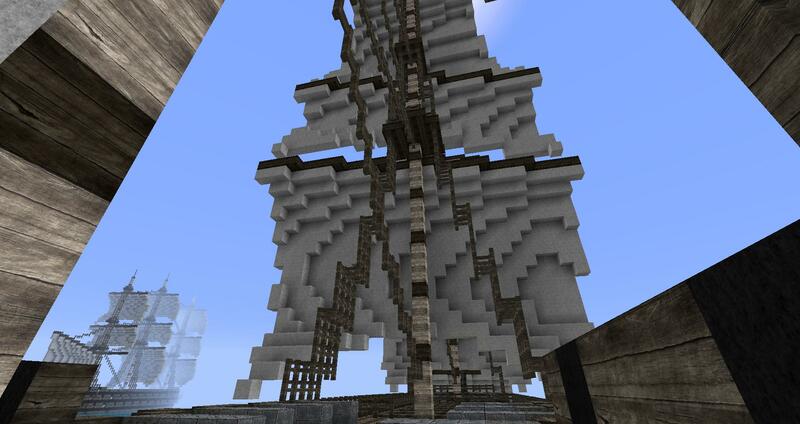 I plan on adding some ship's boats just forward of the mainmast, but I'll leave that until after I've gotten around to updating my minecraft client. I'd want to do them in birch, and I'd rather wait until I have the birch slabs and stairs to play with. I guess it's just that I can't be bothered right now checking my mods are up to date for the latest minecraft version! 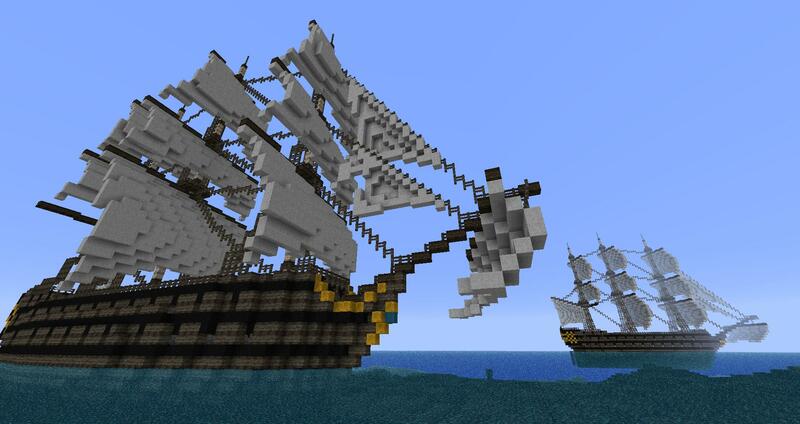 Perhaps we could create a map with all the Nelson's ships in the battle of Trafalgar...? I love the way your sails look, you ought to teach me!